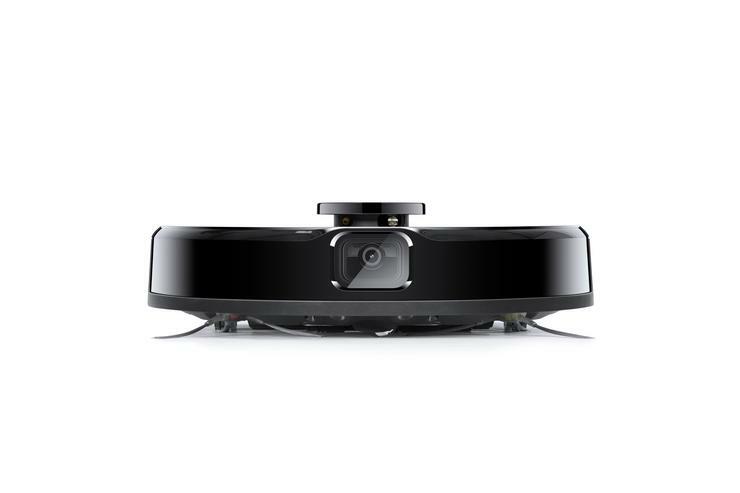 Last year, the company offered something new with the glass-cleaning Winbot. At this year's CES, they tried to achieve the same result with the new Atmobot. A hybrid of air purifier and robot vacuum, the Atmobot uses a lot of the same laser distance and ultra-sonic sensors and tech found in Ecovac's vacuum range to build a virtual map of your home and then purify the air in it. Once one room in your home has been scrubbed, it'll move onto the next. 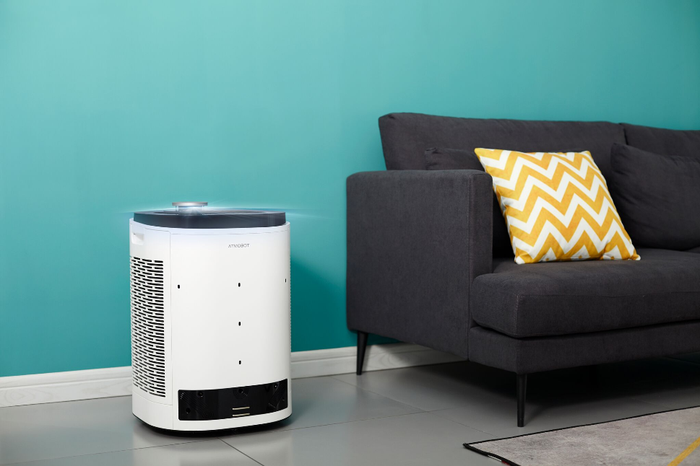 The Atmobot boasts four layers of HEPA filter on both sides and three levels of fan power. Unfortunately, the Atmobot won't support smart assistant integration at launch. Ecovacs say this will come later. The company also say they plan to sell external sensor later down the line. By placing sensors around your house, you won't have to manually turn the Atmobot on or wait for its next cleaning cycle to kick in. As soon as a sensor detects a discrepancy in the air quality of your, the Atmobot will come rolling along to remedy the issue. Ecovacs have also announced updated version of its popular Deebot. First teased at this year's IFA, the new Deebot Ozmo 960 features the company's AIVI (artificial intelligence visual identification) tech and is able to recognise objects and avoid them. 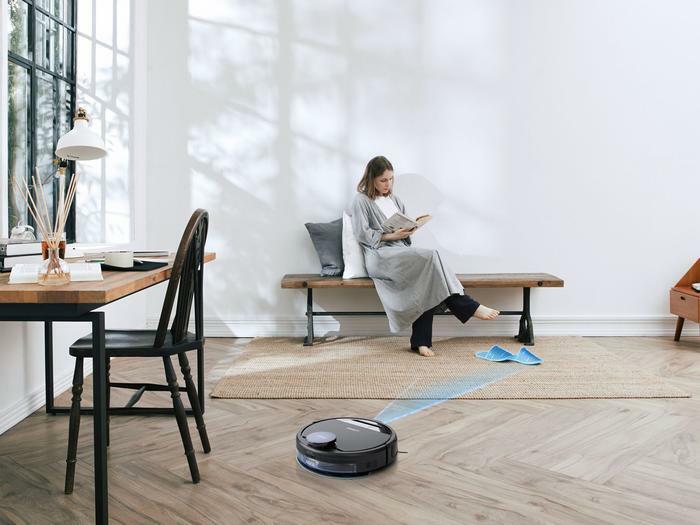 The idea here is to remove the hassle of having to remove anything your cleaning robot could be caught on, like cables or socks or shoes, before you turn it on. Given how we went about reviewing the previous Deebot, this sounds like it'll be a welcome improvement. Ecovacs told us that the smart vacuum will ship with an initial library of objects it know to avoid out of the box, with more further and more nuanced image detection to be added later down the line. Like previous Deebots, it'll support both Google and Alexa integration. Ecovacs also claim the unit will deliver 110 minutes of cleaning on a single charge. Australian availability and pricing for the Atmobot and the Deebot Ozmo 960 has yet to be confirmed.